At Aardvark Packers, we design and manufacture a variety of inflatable packers used in Environmental applications. 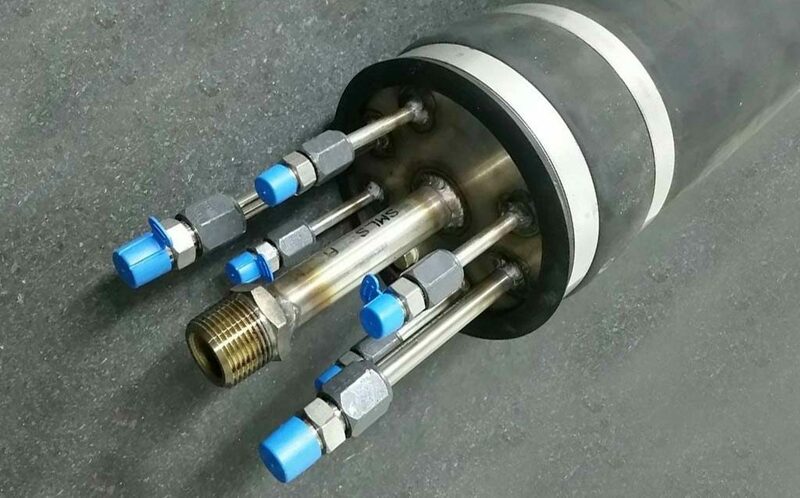 As an example, we have looked at our manufacturing processes and developed a 1.70” OD fixed end packer that houses (3) 3/8” stainless steel pass thru tubes which can now be used for (four) injection or sampling zones independent from each other. This allows the possibility to do away with “nested” wells and the inherent issues associated with them. Some of our featured materials in our GWI (Ground Water Isolation) Series are Viton, EPDM, Nitrile, Neoprene and a host of others. No longer needed is the “nested” well. We can now offer 2” groundwater monitoring packers with (3) 3/8” SS thru tubes creating sampling and injection of up to 4 discreet zones. Maximum “confined” pressures up to 200 p.s.i.